Raring2go! 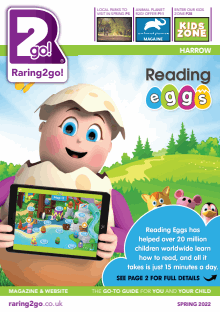 Harrow is distributed to 11,000 children via schools, nurseries, libraries, leisure centres and health centres throughout the local area. It is all about the local community and this is where YOU come in! What activities does your child attend? Where have you been and liked that is child friendly? Where have you visited and had a fun time? Please let me know who you use and where you would recommend as I really want this to a helpful guide for all parents in the local area. Please feel free to contact me via EMAIL or send me any of your ideas or comments.